Probably my most frequently asked question, and the most popular thing people comment on on my blog posts, is questions or compliments to do with my hair. 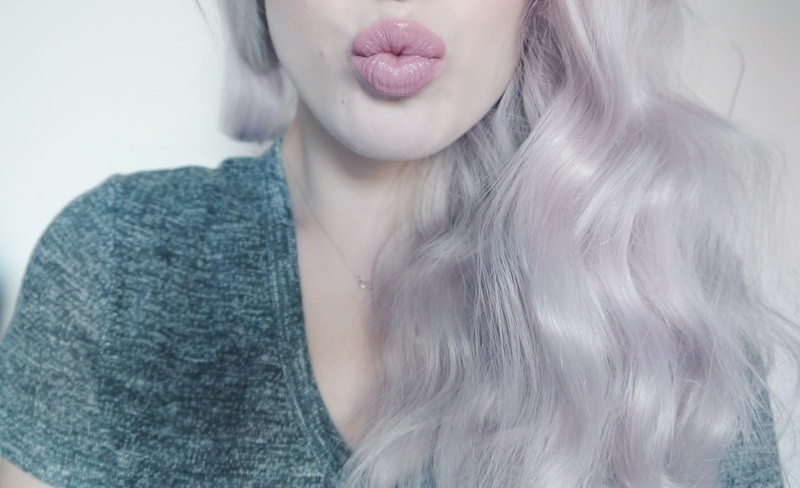 Most seem to want to know how I get it this grey/silver/lilac colour (which also looks pink under some lights! ), so I thought I'd make this blog post a priority. Naturally, my hair is a dirty blonde shade, so the first step in the process is bleaching my hair. I get my roots done roughly every 2-3 months at the hairdressers and this is probably the maximum amount of time I would leave it, but it depends for each individual on how fast your hair grows. I personally quite like the look when a few centimetres of roots have grown through, but any more than that and I'm not a fan! Due to the fact that my hair is naturally blonde, the bleach doesn't have to be left on for too long and as a result, is less damaging. You'd obviously have to consider this part of the process a lot more though if your hair was quite dark. I get my hair done at a hair salon back in Leicester and after they've bleached my roots they tone my hair with an ashy/lilac toner. This matches the rest of my hair to my roots instantly so that I don't have to wait for the purple shampoo to build back up again, which would leave me with yellow roots and silver hair…not a good look! After you've got your hair nice and light, the process is really quite simple! Despite what many people think I don't colour my hair at all, it's all in the shampoo! 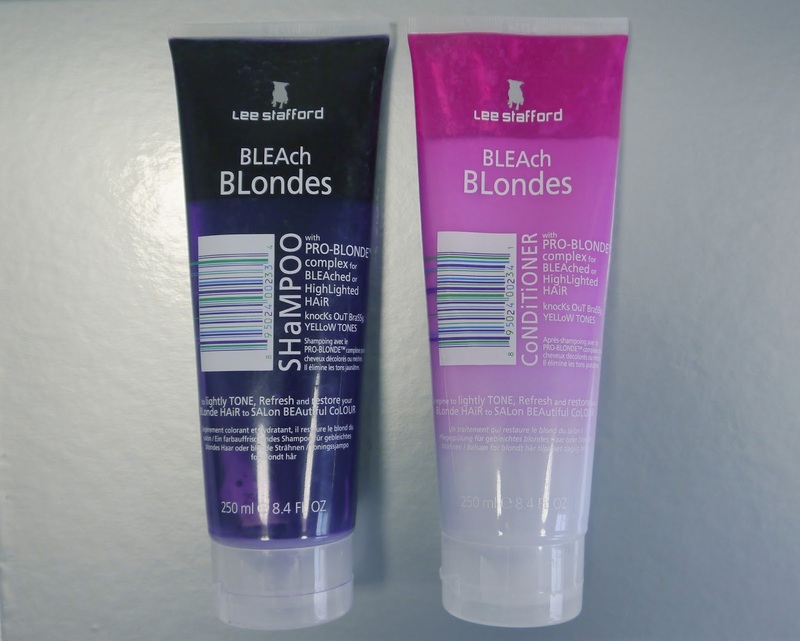 Every time I wash my hair, which is every other day, I use Lee Stafford's Bleach Blondes shampoo and conditioner which tones the colour of your hair to prevent any yellow tints coming through. However, when you use this product for every wash over a period of weeks, the toner starts to build up in your hair and creates the lilac/silver effect! I absolutely love the colour of my hair now, even more so because it doesn't involve me spending a fortune on hair dye and having to repeatedly refresh the colour. The Lee Stafford products tend to be around £7 in Boots which is expensive for a shampoo, but I always buy them when they're on 3 for 2 and in the long run, it's cheaper than constantly buying pastel hair dye, which I found washed out sooo quickly it was never worth it. Lee Stafford products also smell amaaaazing and just feel really nourishing and luxurious on your hair, so I really think you get what you pay for in that respect. If you were after an alternative that isn't quite as drastic however, this process would still work on highlights as long as they were light enough, creating the look of silver/lilac highlights in your hair. I hope this was helpful for any of you who are considering going this colour, if you have any more questions please leave them below and I'll get back to you! your hair is so amazing! i wish i had your colour! I want to have such a color, too..